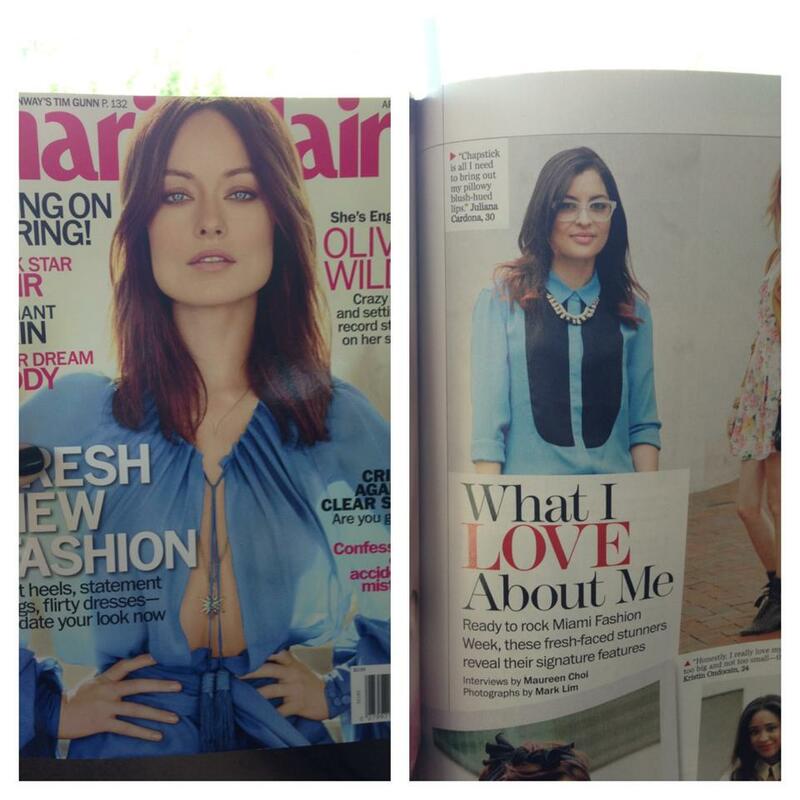 If you follow me on instagram @afashionsoiree, you know that I came out in the April Issue of Marie Claire. I spoke about what I loved about myself, which are my lips and my obsession with chapstick. If you get your hands on the magazine, I'm on page 149! That's how I found your blog! Love your style and your glasses.